With all the (my) excitement surrounding the Art Show and antique mall display, it's been far too long since I've shared some of what's in the CraftyHope Etsy Shop. While I try to recoup from vacation, get my house in order, and get my head on straight let me go ahead and do that before I sink into any other blog post topics. First up is the newest piece in the shop. 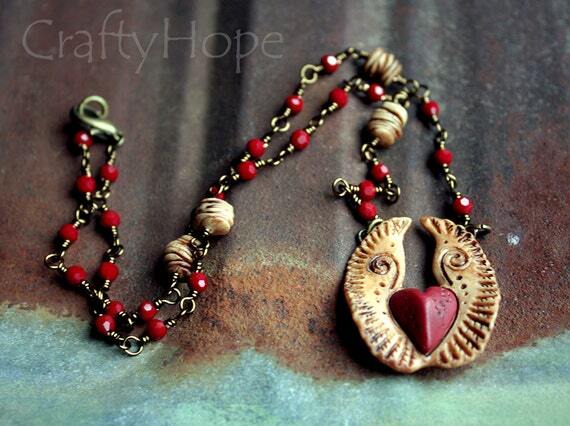 I let the winged heart focal from Tree Wings Studio really be the star of this necklace. These earrings are all kinds of unique! The wood beads were hand painted by me and the discs are old game pieces. 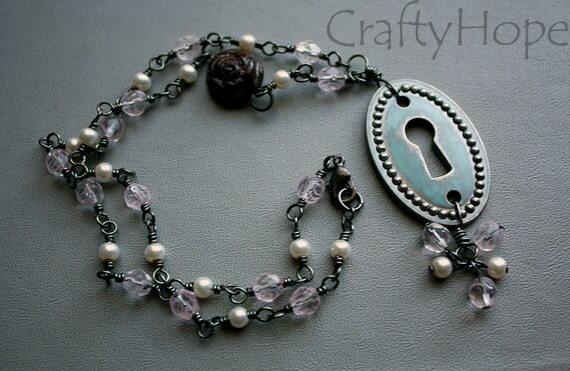 So delicate, girly, and romantic; this necklace features a reproduction keyhole (scrapbook element) that I colored with some guilder's paste along with a small ceramic Gaea rose connector. I thrifted this brass knob backplate some time ago without any notion of what I would do with it. 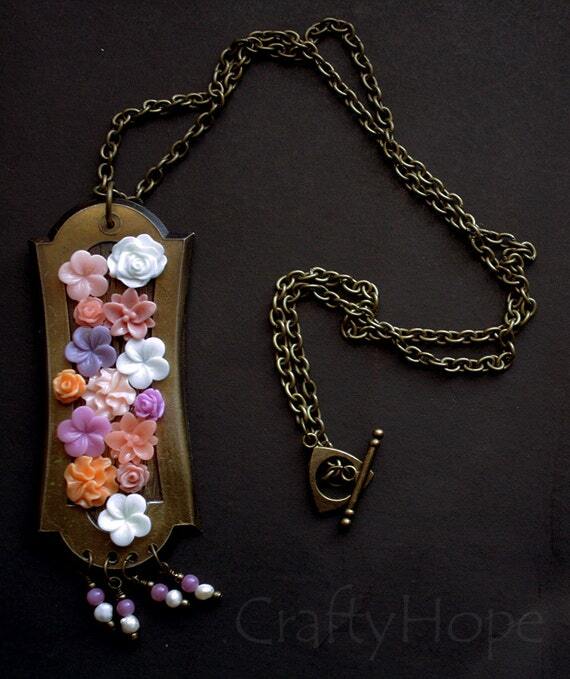 It only took some resin flowers, a few holes drilled by my handy Pat, and simple beaded dangles to up the wow factor and transform hardware into wearable art. 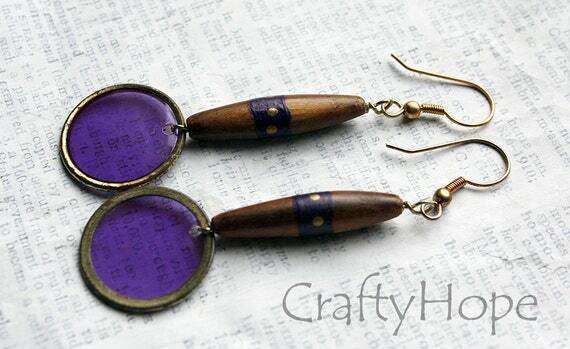 Another set of altered awesome-ness; these earrings were lowly brass office brads before I worked some magic on them with Vintaj patinas. With a bezel in hand, I looked for elements to fill it. A single-hole mother of pearl button-ish thing and a metal crown fit together nicely. ICE Resin sealed it all together. The crown made me think of my cousin (she's the princess) whose favorite color is purple. 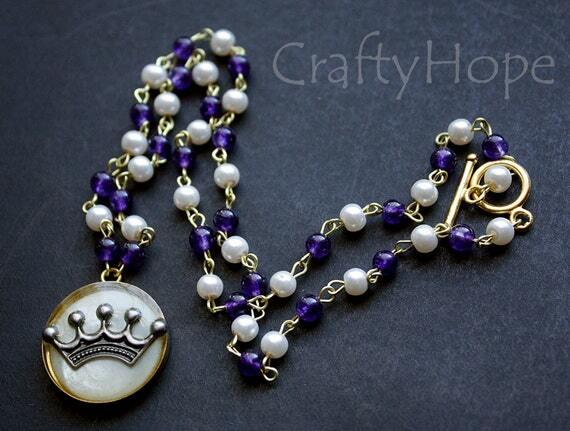 So, with small purple beads and some glass pearls, the chain flew together for this regal necklace. 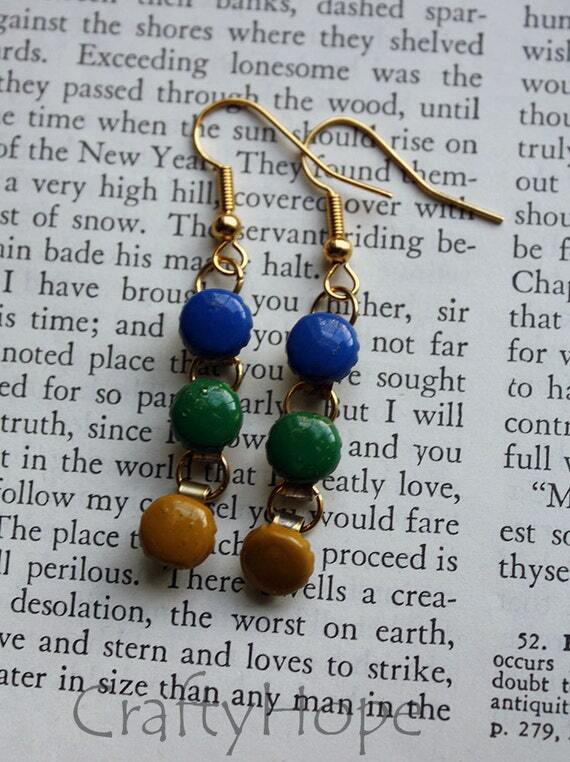 These earrings may not make much of a statement, but their subtle beauty cannot be denied. Again, I used brads, but these are decorate scrapbook ones. 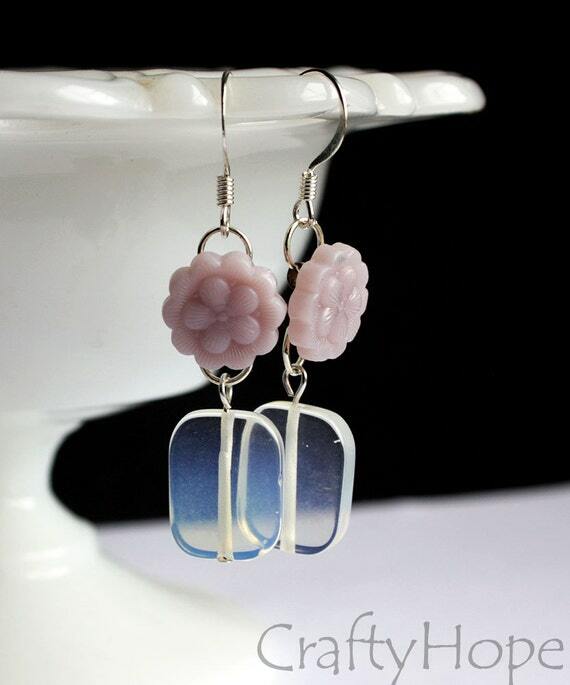 They were paired with glass moonstone beads. Finally, this bracelet was re-listed. It was published in Jewelry Stringing's Summer 2013 issue in the Bracelet Gallery section. It features the work of several bead artists including Gaea, Humblebeads, and SueBeads. It's stunning and also adjustable! 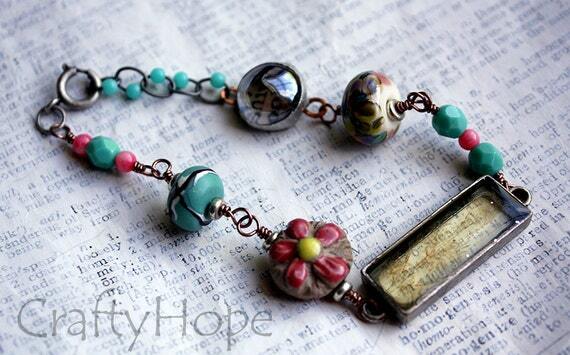 There's plenty more goodies to see in the CraftyHope Etsy shop. Let me know what your favorite is! Did I showcase it here or is it something else in the shop?